If you are looking at a divorce in Tennessee, the first thing you need to determine is what type of divorce proceeding you will be involved in litigating. This helps you pick the right divorce lawyer. Are you in disagreement about the divorce, or is everyone agreeing on things? Do you have property or kids together, or is this a short marriage with nothing to even fight over? In Tennessee, a “Contested Divorce” is a divorce where the parties are not in agreement on the terms of the divorce prior to either of the parties filing a divorce action. A party to a divorce is the Husband or the Wife. You should not confuse this with a divorce on the grounds of Irreconcilable Differences. While most uncontested divorces are filed on the grounds of Irreconcilable Differences, not all of them do so, and likewise just because you did not have the terms of the divorce agreed upon prior to filing does not mean that you cannot still agree to a divorce based on Irreconcilable Differences. In fact, an Irreconcilable Differences divorce is available to you until you go to trial at which point you will need to either stipulate to other grounds such as Inappropriate Marital Conduct or Adultery, or prove grounds for the divorce to the Court. Put simply: a “Contested Divorce” is a divorce where there is something that you and your spouse do not agree upon, be it alimony, asset distribution, business interests, or child custody. So for example, if you caught your spouse cheating and you wanted to file for divorce, you are talking about a contested divorce. The opposite of a contested divorce is an “Uncontested Divorce.” If you and your spouse agree on asset and liability distribution and a parenting plan, you may be able to do an “Uncontested Divorce” where one attorney drafts the paperwork to reflect your agreement and helps you through the court process. Usually, the divorce complaint in a contested divorce gets filed at the same time as your Marital Dissolution Agreement and Parenting Plan. Sometimes, if you have no assets and no children, you may be able to proceed without an attorney. Although it is not recommended, if you have very limited means there are Court approved documents to do your uncontested divorce “pro se” or on your own. For example, Davidson County has a link on their clerk website that has all of the paperwork you need. You should be wary of attempting your own divorce if you have anything worth fighting about. It is very common that people try to cut corners on the divorce attorney and wind up in protracted post-divorce litigation or in terrible situations where a spouse may be paying alimony for years that is double or triple what would have been awarded had that person hired an attorney. Divorce laws vary from state to state, and Courts in different counties will differ as well. Sometimes, even being in the same county, but being in a different court, can affect the outcome of your case. In Davidson County, all divorces are filed in the Circuit Court. In comparison, you may find yourself in Chancery or Circuit Court if you are in Rutherford, Cheatham, or Sumner County. It is important that you hire the attorney before you file and things get out of hand. Your attorney may have chosen a different court to file the divorce in depending on the facts of your case. This is a huge error (and unfixable error) that non-lawyers make when attempting to manage their own divorce or custody proceedings, and sometimes this can be the difference in joint custody or an alimony award. Disclaimer: This is not legal advice. 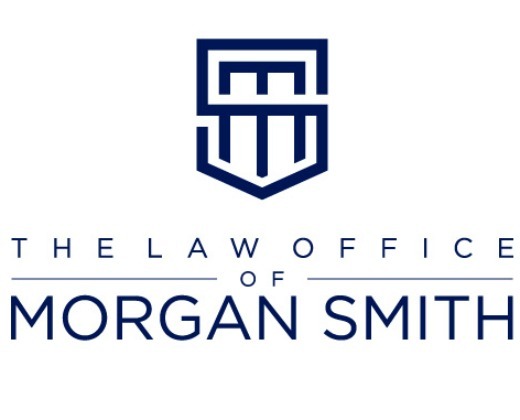 Although Attorney Morgan Smith is licensed in both Tennessee and the District of Columbia, family law is very state specific, and this information is based on Attorney Morgan Smith’s experience in Middle Tennessee, and specifically Nashville and Davidson County, Sumner County, Wilson County, Rutherford County, Williamson County, Cheatham County, and Robertson County. If you have specific questions regarding your case, call the Law Office of Morgan Smith and Morgan will be happy to consult with you by phone at (615) 620-5848. About the Attorney: Morgan Smith is a Middle Tennessee divorce lawyer with experience in Davidson, Cheatham, Rutherford, Robertson, Wilson, Williamson, Sumner, Smith, Hickman, Dickson and Montgomery County divorce and family courts. Attorney Smith’s goal is to be the best divorce lawyer she can be for both herself, her clients, and the public at large. Like most successful divorce lawyers, Attorney Smith is frequently at Court, which is why her full-time staff members are available from Monday through Friday to help make sure clients get the support and accessibility which makes divorce litigation tolerable. Attorney Smith works hard to get the best results for her divorce clients, and to protect them from unnecessary risk or emotional hardship. When she is not working, Attorney Smith can be found watching college sports, reading, or playing PC games with her Husband and cat. She resides in Nashville.